The first tip is to get your child to read and write often. As they do, they'll be practicing and strengthening their spelling skills (both in a passive and active way). Having a dictionary nearby can provide the assistance your child requires to improve their vocabulary, their reading comprehension, and of course, their spelling skills. Just be sure to let them know how to use the dictionary correctly, so it can become an invaluable learning tool for them. To be able to spell adequately, your child will have to learn a myriad different rules. This can be complicated to some children. If your child has a challenging time memorizing said rules, employ mnemonic devices, such as rhymes and songs, that will help them retain and recall them easily. Encourage your child to keep a spelling log, where they can document, practice, and keep track of words that are challenging to them. They can also use it to note down homonyms, homophones, and more, so they can make spelling similar words effortless. As a last tip, it is recommended that you provide your child with a few games that can help them work on their spelling in a more fun manner. 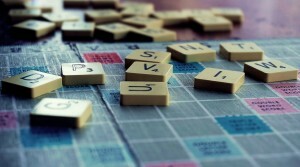 For example, Scrabble, crossword puzzles, and even certain app games, will allow them to practice and improve on their spelling as they play. Enroll your child in tutoring in Navarre FL to help them with their academic skills. Call The Tutoring Center, Navarre FL at 850-939-5384 to schedule a free diagnostic assessment.